Depending on the countries, populations and breeding methods, ruminant farming is very different. LAPROVET range of pharmaceutical products mainly focuses on antiparasitic treatments, including trypanocidal drugs that act upon animal trypanosomiasis, prime cause of cattle lack of productivity in sub-Saharan Africa. LAPROVET manufactures trypanocidal drugs in a certified GMP production site in respect of the European standards assuring their quality. • SECURIDIUM®, containing isometamidium chloride, a reference in preventive medicine, combined with antipyrine, in fine granular, to assure a homogeneous mixture and the control over the final concentration. 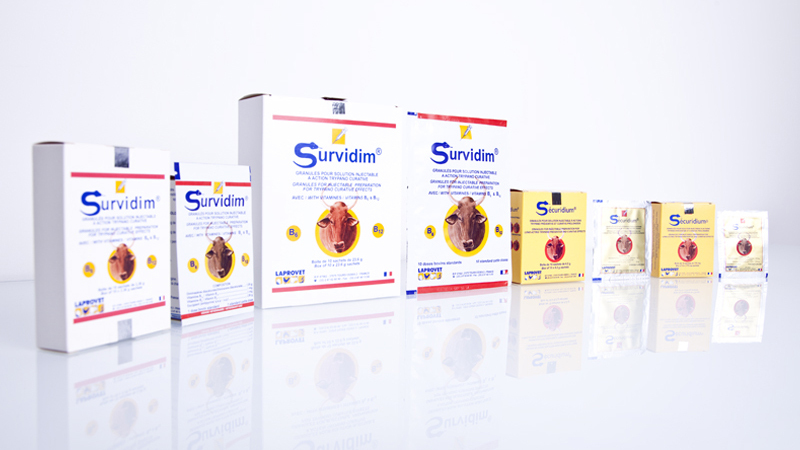 • SURVIDIM®, a unique Diminazene diaceturate formulation with antipyrine and vitamins B12 and B6 for a quick recovery of affected animals by increasing hematocrit and the weight of the animals. Because of the stress caused by external parasites (ticks, fleas, scabies, louses) in the pasturelands, a wide range of innovative products which take into consideration the farmers’ living conditions has been set up. CYPERTOP® is characterized by its miticide and insecticide activity based on a combinaison of cypermethrin, chlorpyriphos, piperonyl butoxide and lemongrass. Its efficiency on Boophilus microplus ticks (which are becoming more and more invasive) has been proved. 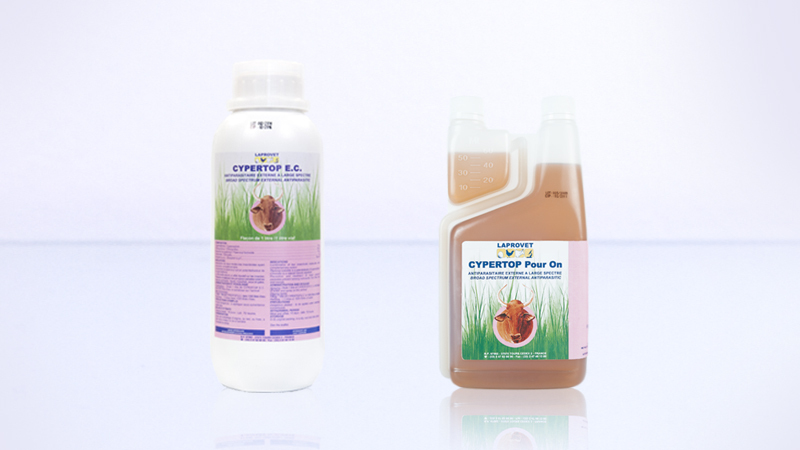 Besides, CYPERTOP® can be used as a complement to the control program of the tsetse fly, a vector of trypanosomosis. Internal parasitic diseases are one of the main reasons why UBT cannot increase in extensive ruminant farming. In most cases, animals get infected in pasturelands or at drinking points. It should be underlined that parasites’ spreading has been boosted by transhumance in Sub-Saharan Africa. To make sure animals are well fed, parasites must be regularly killed based on a defined program. 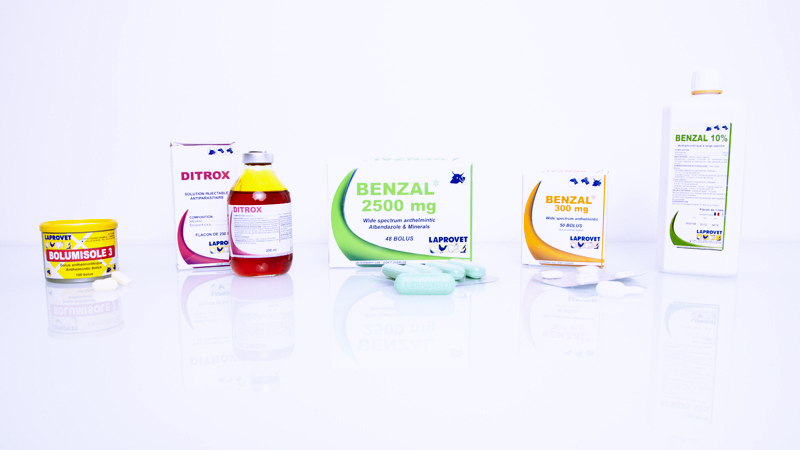 The dedicated products BENZAL®, BOLUMISOLE® and DITROX® are considered by the farmers as references. To fight against bacterial diseases, LAPROVET developed a complete range of anti-infectives in the form of injectables or sprays. One of the fundamental principles of antibiotherapy is the molecules’ rotation to limit the risk of resistance development. 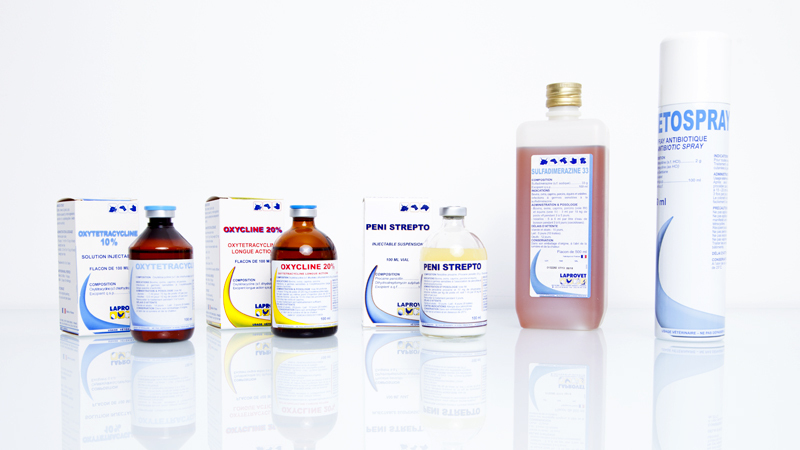 OXYCLINE 20%®, PENI-STREPTO® and VETOSPRAY® are three key products developed by LAPROVET.